ClicktheCity and Nokia Philippines have partnered together to give us yummy treats from Tokyo Café, Crustacia Asian Crabs, and Gelatone ice cream every weekends (Fridays, Saturdays, and Sundays), valid until July 4, 2010. Sorry to have posted this late, but you still have this weekend to try it out. 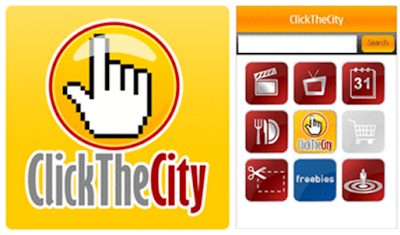 All you have to do is download the ClicktheCity app from Ovi store to your supported Nokia phone via mobile browser at www.store.ovi.com. From the app menu, click on ‘freebies’ and choose from the list of partner establishments. Click on ‘find out where’ to know which restaurant branch to go to. Go to the specified branch and present the coupon on the phone to enjoy your freebie! Supported phones are Nokia E52, Nokia E66, Nokia E71, Nokia E72, Nokia N97, Nokia N97 mini, Nokia 6710 Navigator, Nokia 6730 classic, Nokia 5800 XpressMusic, Nokia 5230, and Nokia X6 16GB. Remember, you can also download tons of fun stuff in Ovi store -- apps, games, wallpapers, themes, and more. If you still don't have an Ovi account, registration is just very easy via www.ovi.com.